Today Steward Linda Felt found a patch of the invasive weed Yellow Star Thistle on the Overlook Trail. I had been watching for it, but eagle-eyed Linda gets the prize for First Sighting of the Season (there is no prize, actually, merely recocgnition). With this new information, I redoubled my efforts to find it and indeed found some small, not yet flowering, plants on the upper meadow. Thus begins the 2015 campaign to rid the Overlook Trail of this non-native plant, an effort that has been going on for years. Steward Rich Gibson, a Biologist and retired Ranger, ably leads the effort. He schedules group work days to tackle it, bringing snacks, gloves, sacks, and camaraderie. We also pull the weed individually, since group work days are insufficient to completely eradicate it. Photo by Roy Tennant, Stewards Joanna Kemper and Rich Gibson pictured. Last year we likely had our best year yet, as we continued to pull throughout late Spring, Summer, and into early Fall until none could be found on the main trail. However, we had to leave some very infested patches near Norrbom Road (around the water tank and on up to nearly the Rattlesnake Cutoff trail). We’re aiming to knock those back this year, as well as keep the main trail thistle-free. Word is that to eradicate it completely takes up to five years of concerted, thorough, eradication efforts. Then vigilance is required, as it could try to re-establish at any time. 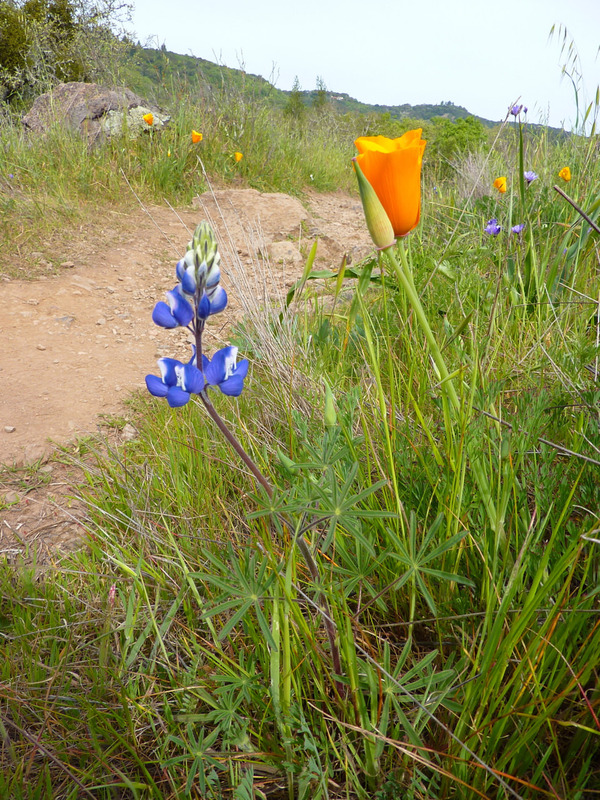 Linda Felt is active in the effort to eradicate Jack London State Park of Yellow Star Thistle and she reports that it is already well engaged this season there. So lock and load, people. The battle has begun. Watch for flyers at the trailhead for group work days. We’d love to see you there. I’ve always been fascinated with dragonflies — their often bright coloration, their way of darting about when flying, their large size for an insect. So I was delighted to get photos of two specimens on today’s hike — one on the Overlook Trail and another on the Montini Preserve. The first one I saw was this Flame Skimmer (Libellula saturata), perched in a dead bush. I stayed on the trail and used my 30x camera zoom to get in close. The lacy wings are particularly beautiful in full size (click on the image). 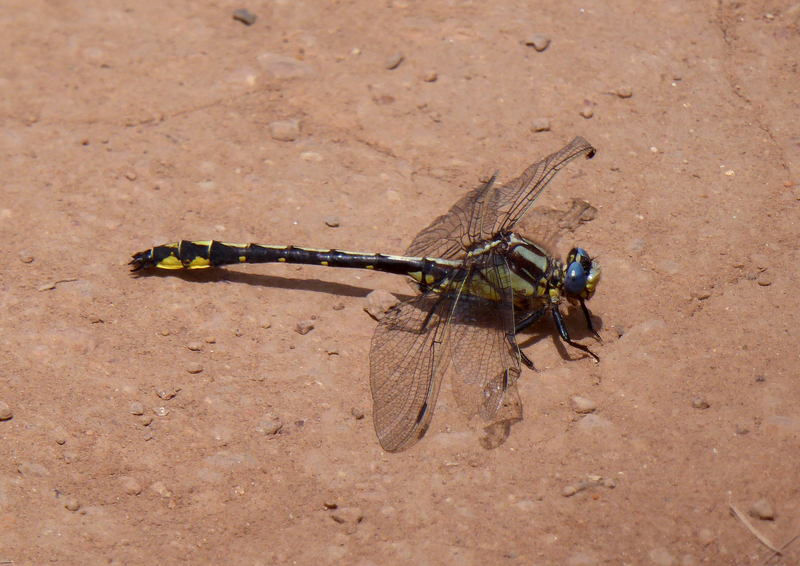 Dragonflies are actually quite ancient. According to Wikipedia, fossils have been found from 325 million years ago. They were much, much bigger back then, with wingspans of up to nearly 30 inches. They are capable of four different styles of flight, which allows them to fly in six directions: upward, downward, forward, backward, to the left, and to the right. I then encountered this Bison snaketail (Ophiogomphus bison) sitting on the Holstein Hill trail on the Montini Preserve, where it crossses the meadow at the top of the hill. 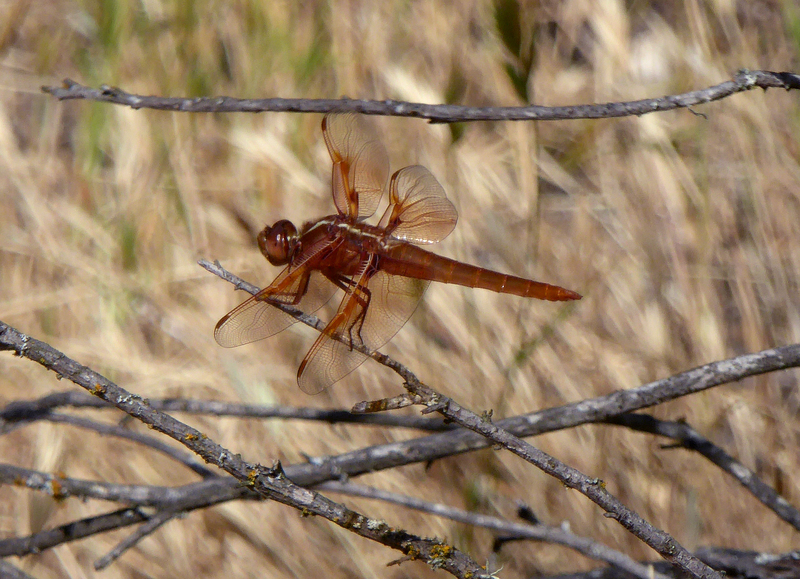 May you see a dragonfly or two the next time you hike the trails. You will be glad you did. May 4 City Council meeting – please attend! Those who are lobbying to allow dogs Montini Preserve have made it clear to their supporters and the City Council that if they don’t get what they want, they will attempt to overturn dog restrictions on the Sonoma Overlook Trail, which they claim is funded by taxpayer dollars. For the 10 years the SOT has been in existence, the Sonoma Overlook Trail has been funded only by private funds. The only time the City of Sonoma staff is called upon for support is for public safety reasons – for example, to cut a fallen tree away from the trail or when a large tree is endangering walkers. Those occasions are few and far between, and we only ask staff for assistance when the tree is too large for our volunteers to handle. 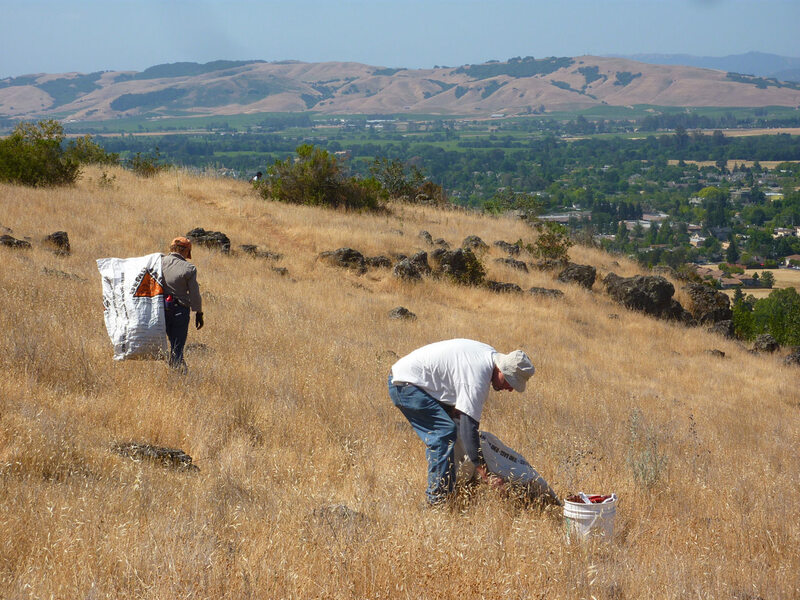 Instead, the Overlook Trail maintenance and trail activities like school tours, are funded and maintained by the Volunteer Sonoma Overlook Stewards, with monies raised from private citizens. The kiosk was also built with volunteers and private citizen donations. Taxes do not support the trail. Also, the intial trail was built primarily with private donations and was built for about 30k. The land is City land originally donated by General Vallejo. Trail work is all done as a public service by us for the citizens of Sonoma. We hope you will join us in our future efforts to care for the SOT. Please come and be heard during the May 4 City Council meeting to discuss the newest proposed amendment to the Montini Management Plan to allow dogs in a wildlife preserve. Foe more information, read the 050415 Council Agenda and the 7A Montini Amendment.